Our Gran Cuvée range, closely linked to the image of transition between the foundation of the company and its dynamic evolution towards the demands of the market close to our customers, is synonymous of tradition, innovation and courage. Colour: Pale yellow with fine and continuous bubbles and a perfect mousse. Bouquet: Intense notes of fresh fruit (peach and citrus fruits), floral notes with hints of brioche and yeasts with a honey finish. Palate: Fresh and fruity, balanced, fi ne and subtle mousse. A persistent cava, very pleasant and elegant. 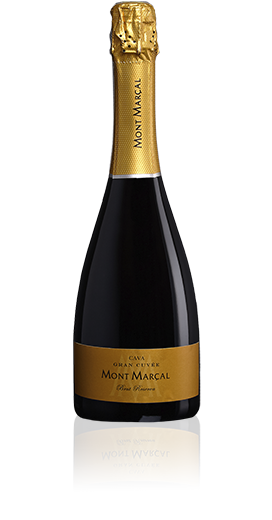 This is a cava that matches perfectly with aperitifs, fish and shellfish, white meats, sheep milk cheeses, pastas and rice dishes, charcuterie, salads and desserts, for example, strawberries. The carbonic is perfectly integrated and as a result it is ideal for any celebration from the aperitif to the dessert. Colour: Clear raspberry with a violet hue, it has abundant, fine and lasting bubbles, with a generous mousse with persistent beads. Bouquet: Intense notes of wild berries (raspberries and blackberries) blended with a subtle perfume of cassis and floral notes of violets, it also has fine aromas of pastry and red liquorice. 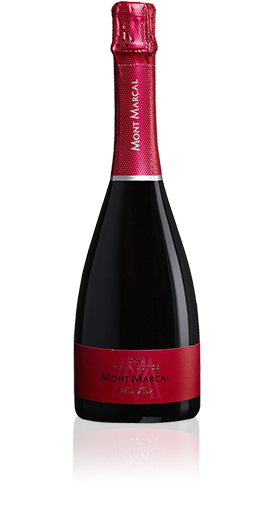 Palate: Soft on the attack, with a fruity and refreshing palate (red fruits) with a sweet depth and a lively and persistent finish. Thanks to its freshness, its delicate aroma and the tingling of its bubbles, this rosé pairs very well with appetizers, all kinds of dishes (salads, pasta, rice, smoked meats, sausages, meats, seafood ...) and desserts based on red fruits and chocolates.